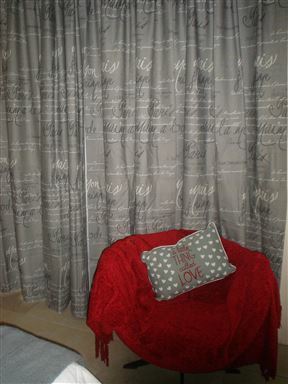 Flip Flops Oornag offers comfortable, spacious and clean accommodation in a quiet residential area in Upington. There are seven rooms suitable for leisure or business travellers looking for a quiet homely environment. 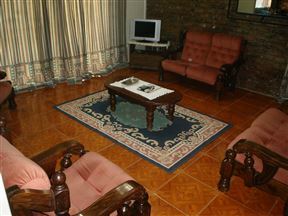 Accommodation is provided in stylish, well-equipped rooms that sleep up to eight people. There are seven rooms to choose from, all with air-conditioning, self-catering facilities and en-suite bathrooms. The secure property offers ample parking behind locked gates. 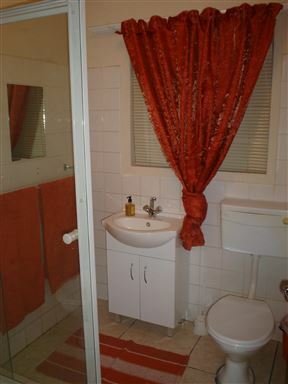 Each unit has a private entrance. 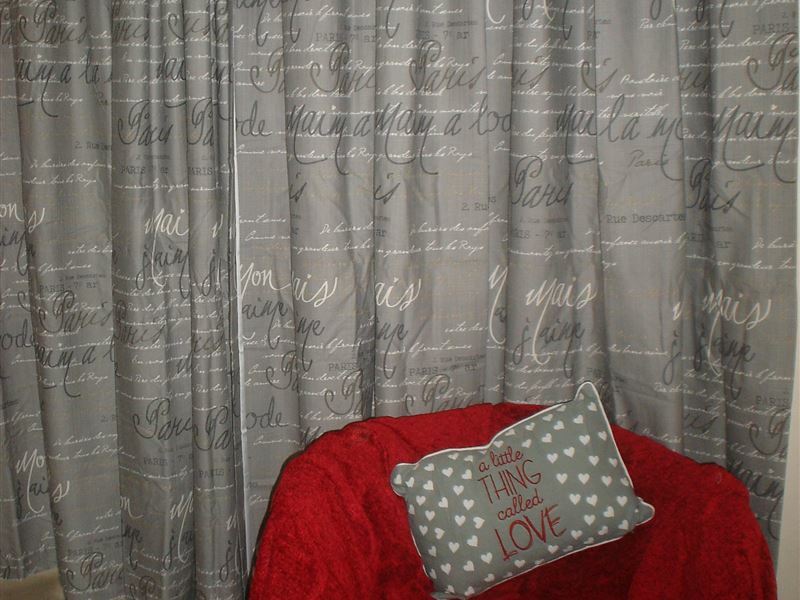 These rooms each have a double bed and an en-suite bathroom with a shower. 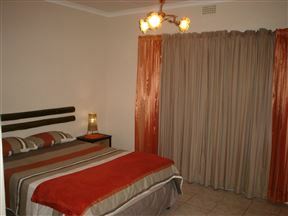 Room facilities include a microwave oven, mini fridge, cutlery and crockery, air-conditioning and a TV with DStv. Tea and coffee-making facilities also include fresh rusks for your enjoyment. These rooms each have two single beds and an en-suite bathroom with a shower. 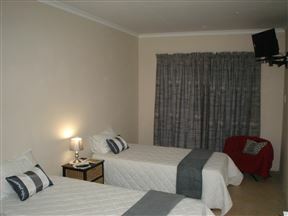 Room facilities include a microwave oven, mini fridge, cutlery and crockery, air-conditioning and a TV with DStv. Tea and coffee-making facilities also include fresh rusks for your enjoyment. 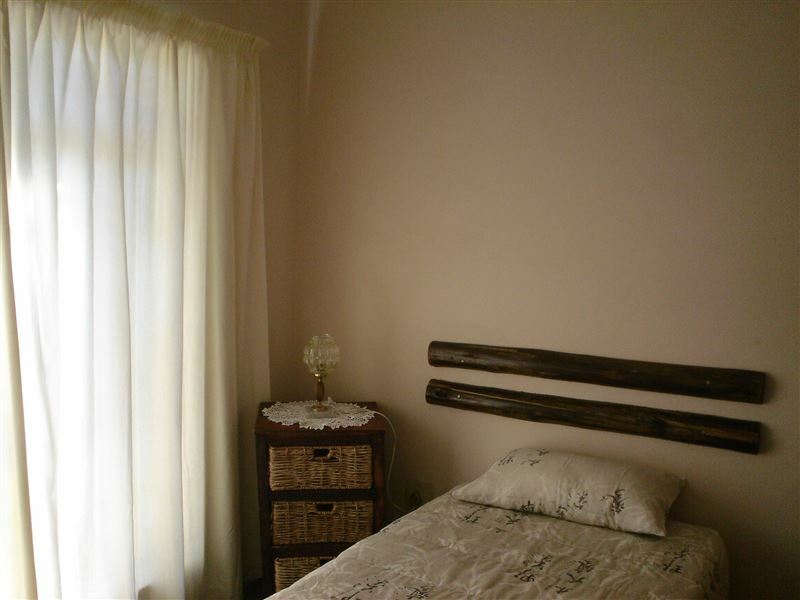 This larger room has 3 single beds, and an en-suite bathroom with a shower. Room facilities include a microwave oven, mini fridge, cutlery and crockery, air-conditioning and a TV with DStv. Tea and coffee-making facilities also include fresh rusks for your enjoyment. 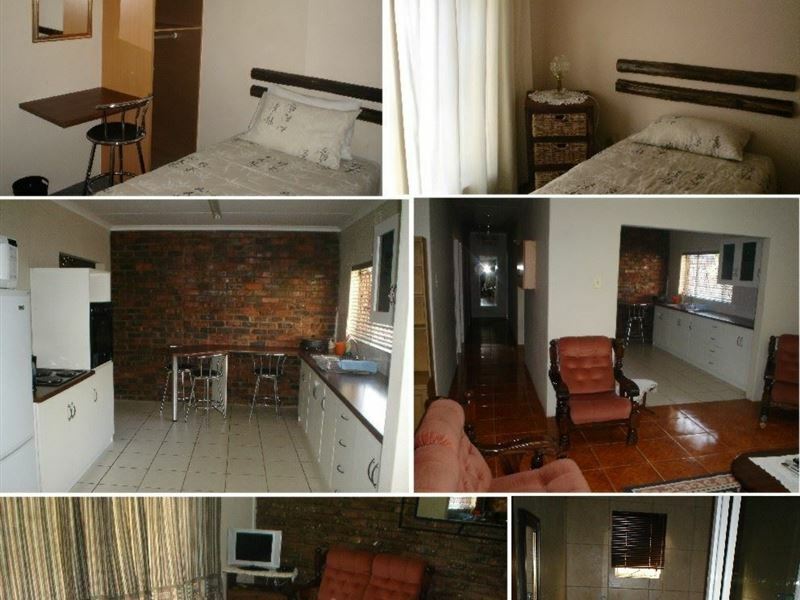 This Family Unit has two bedrooms; one with a double bed and one with two single beds. Additional sleeping space is available in the sitting room on four extra beds. 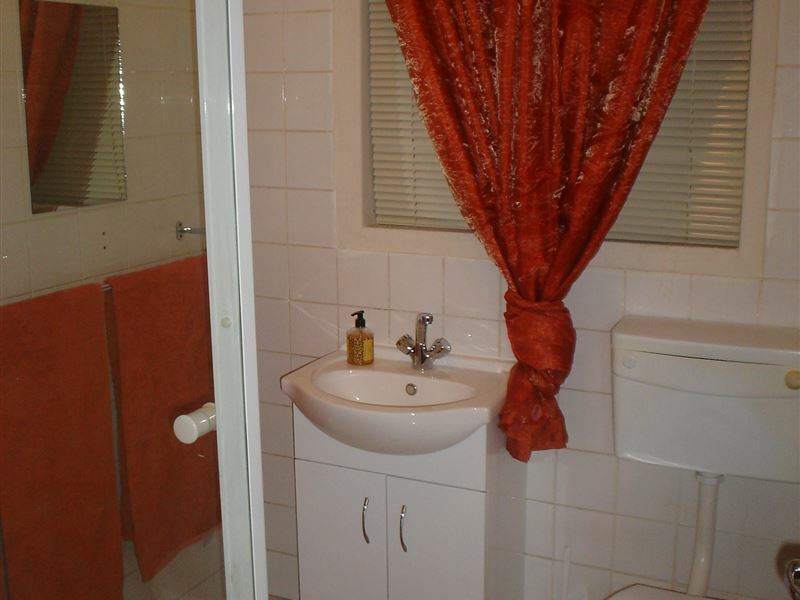 The Unit has a full equipped kitchen, with eye level oven and a bathroom that features a bath and shower. 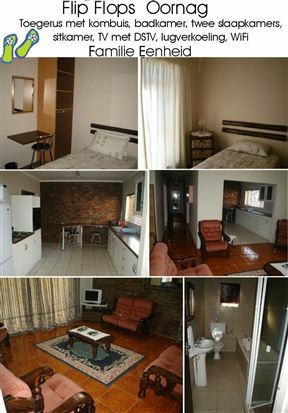 Other facilities include air-conditioning and a TV with DStv. Tea and coffee-making facilities also include fresh rusks for your enjoyment.